With the highest start-up rates in the North West, plans are underway to turn Manchester into the "Shoreditch of the North". Could the city be right for you? With a particular pedigree in creative and digital businesses, Manchester offers: unrivalled access to talent – with the biggest university campus in Europe (and five universities in total), the largest city economy outside of London and a strong business support package; with a wide variety of investment targeted at the region. While survival rates for start-ups are not the city’s strength and it has the third highest rate of business closures – following Birmingham and Leeds – as Tim Newns, CEO of Manchester’s inward investment agency MIDAS, comments: “You can’t penalise a place for lots of people wanting to start a business.” With a population of over 500,000, and the largest start-up rate of any city in the North West, clearly there is plenty of thirst for entrepreneurialism in Manchester and the area is making great strides as a leading start-up hub. Manchester enjoys excellent transport links, with Manchester Airport one of the region’s busiest hubs –the airport is the third largest in the UK, behind Gatwick and Heathrow, serving 220 destinations daily (Heathrow has approximately 180), helping make the city truly international. Despite being 200 miles away from London, the train journey to Euston takes just two hours and nine minutes, and this could be shortened to just over an hour if the High Speed Rail 2 project goes ahead. The main motorway is the M60, which circles Manchester, comprising 10 motorways and 50 separate motorway junctions. The 200-acre MediaCity UK mixed-use development has seen the BBC relocate many of its departments there and has boosted the city’s reputation as a serious rival to London in the film, media and creative sectors. The Manchester area has a number of options for businesses looking for office and retail space. Commercial property developer Bruntwood runs an £8m co-working development in the city centre; complete with roof terrace and a digital art space. Further plans for this will be an extension to the range of various sites currently available in the city such as Salford’s MediaCity UK. The Landing, a shared workspace within MediaCity, is currently offering six-month rent free packages for budding game developer freelancers and start-ups from the North-West, as part of a continued commitment to support digital start-ups. Take a look at our guide to the 15 best coworking spaces in Manchester. Other major city centre developments include 15,000 sq. foot flexible work and event space Headspace Group, the two million sq ft mixed-use One First Street, the three million sq ft Greengate Embankment initiative (also mixed use), the 4 million sq ft NOMA, and Citylabs, a redevelopment of the former Royal Eye Hospital intended for biomedical start-ups. In terms of retail, the Arndale Centre is the main shopping centre in central Manchester, and the Trafford Centre, located on the outskirts of the city, contains more than two million sq ft of retail space. Manchester is known as one of the UK’s main university towns, with three major universities (and five in total) – the University of Manchester, Manchester Metropolitan University, and the University of Salford, all of which help to drive a collective student population of over 100,000. The University of Salford is nearest the MediaCity development and operates a number of schemes working closely with the digital cluster. All this contributes to a substantial talent pool to draw on, and finding graduates to work for a business shouldn’t be difficult. 39.5% of the population are of working age with NVQ Level 4 qualifications or above, while labour costs are pretty affordable for a new business looking to attract talent at an average of £467.50 per week. However, budding tech start-ups might not fare too well in sourcing staff. In a recent study by Experis, Manchester businesses were found to be advertising more IT roles than businesses in London and were offering “London-beating” salaries. Keep this in mind if you don’t want to compete to attract staff. Manchester has become known as the digital and creative start-up hub of the North, with MediaCity UK the fulcrum of a thriving scene. As well as office space (above) the development offers a number of studios for film and media start-ups. Low-cost business space can be found in one of a number of business parks, both inside and outside the city centre, including Manchester Business Park, Carrington Business Park and Atlas Business Park. Manchester’s growth as a thriving start-up hub has not gone unnoticed by organisations outside of the city either. In 2014, the British Library selected it as the third location for an EU-backed Business & IP Centre outside of London. Based at Manchester Central Library, the centre looks to support entrepreneurs across the North West with space, resources and free workshops for both start-ups and established businesses. Looking forward, the Manchester Airport City Enterprise Zone is a proposed £800m expansion of Manchester Airport funded by the Beijing Construction Engineering Group, which will offer businesses financial and other incentives to relocate to the area and stimulate economic growth. It is estimated to be completed between 2025 and 2027. Since last year’s Startup Cities Index on Manchester, another accelerator has launched (the Barclays Escalator Accelerator) in the city and another is under construction – led by Wayra and Oldham Council (see introduction). These programmes are a welcome addition for start-up entrepreneurs and follow the work of the Idea Alive accelerator which serves both Manchester and Liverpool and focuses on growing new businesses from idea stage to market. Manchester benefits from a wide variety of investment and loan funds targeted at the region. The North West Fund is a £155m evergreen investment fund which was recently identified as the most prolific VC investor in the UK. It provides debt and equity funding for businesses, with investments starting from £50,000. The Greater Manchester Investment Fund (GMIF) is a similar scheme, designed to encourage business growth and job creation in the wider metropolitan area. Loans of between £500,000 and £5m are available to eligible businesses having difficulty accessing traditional forms of finance. Established in 2002, Business Finance Solutions (BFS) can help businesses access everything from £500 to £25,000 to equity finance up to £4m, as well as export finance of between £3,000 and £500,000. The organisation is behind the Manchester Business Loans, a £24m government-backed initiative typically providing loans of between £3,000 and £100,000. The interest rate will be between 10-15% unsecured, although the scheme providers claim terms are flexible. There are two main angel networks based in the region – Northwest Business Angels, which provides investments of between £10,000-£50,000 – and Angels Den can connect you with regional managers. It will cost you £153,590 on average to buy a house in Manchester – making the city one of the most expensive areas to buy a house in the North. This is higher than neighbouring Liverpool £121,374 but lower than comparable cities such as Leeds (£170,927). House prices in the Greater Manchester area are far more affordable, at approximately £216,000 as recorded by the Land Registry Index in September 2015 so it may be worth purchasing property here and commuting in. The city’s rising house prices come at a contrast with it’s growing reputation for criminal activity; there were an average of 109.39 crimes committed for every 1,000 people in the 12 months up to June 2015. This figure is far higher than the regional average (90.20) and noticeably higher than cities of a similar size; for instance Birmingham’s crime rate is only 68.35. In spite of its crime levels, the city benefits from a thriving cultural scene with major entertainment venues including the Manchester Central event space, Manchester Albert Hall, the Palace Theatre, and the Phones4u Arena stadium. Manchester’s Northern Quarter is known as the cultural hub of the city, with various independent shops, venues and galleries. A first-hand account from an early-stage start-up on what it’s like to start a business in Manchester and what the city has to offer new entrepreneurs. You can also gauge insider opinion on what more Manchester needs to do to accommodate start-ups. Analytics tool Formisimo reveals Manchester’s best entrepreneur events and local support networks. This article has never been truer. 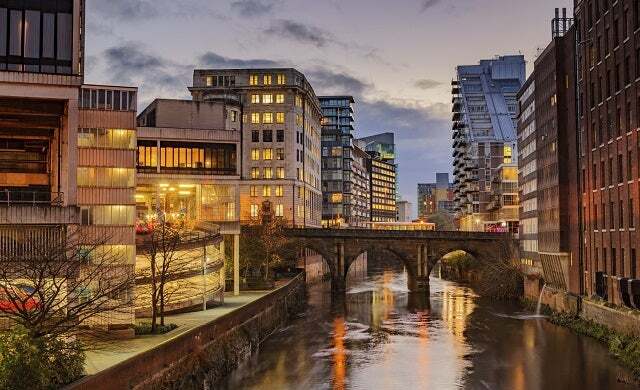 Manchester is seeing continued investment in business and is regularly coming top of polls for the best places to live in the UK (for both business and leisure reasons). Since starting my business here 5 years ago we have witnessed the growth of the city, and I really feel it’s just the start. The city gave birth to graphene, and the funds poured into this particularly sector are staggering, looking set to make Manchester a major worldwide player. With my business being a digital agency, we are up against countless other talented agencies, but there is ample work available. Businesses want to work with good Manchester agencies, and we’re seeing many clients coming from London who want to work with us. I think it’s just the start for the true “capital of the north”. Having co-launched 2 businesses in the last 10 years in Manchester (www.roeye.com and http://www.thecandidate.co.uk), I fully support the points in this article. We’ve brought clients from all over Europe to our office and they love Manchester. Travel connections are great, office affordability exists and it is possible to attract the best skill set. We’re 2 years into the latest venture and Manchester is helping us deliver our plan. Well done Al and the team at Formisimo too, great company (as is their sister company, The Eword.) Good luck to all start-ups in the Manchester area!